This is part three of a three part series where we consider the perspective of an existing customer on traditional Great Plains, and the benefits of using Great Plains with SMB Suite as an alternative to having to learn another cloud ERP system. The challenge every business faces today is finding a user friendly way of getting a clearer picture of what’s happening in their business. Many businesses rely on Excel for analysis, but it’s hard to get valuable business intelligence because Excel is not designed to do this by itself. The ideal solution would be an easy-to-use solution like Excel that makes it easy to access the right data. SMB Suite makes achieving this goal much easier because the business intelligence function is built in. The reporting and planning tool is based on Excel with seamless integration into Microsoft Dynamics. The drag and drop reporting design makes it easy to find the data needed with full visibility of the Dynamics data tables built in. The analytics tools help to better understand the financial data by transforming it into easy-to-understand graphs and charts. The results? Employees are more productive, less reliant on IT, and they’re able to build customized reports of the data needed, thus empowering them to make better decisions. Today employees are connected to the office by mobile devices. However, if the answers they are looking for can only be accessed from the office, it causes the “when I get back to the office I’ll get you that” syndrome. This can put your business at a competitive disadvantage and at best reduces productivity for everyone. Running Microsoft Dynamics in the cloud helps to solve this problem because information access is no longer confirmed within the walls of the business. The cloud makes it possible for employees to securely access company information using a web browser from anywhere. Of course, just like the on-premise version of Microsoft Dynamics GP, users can only access the data they have permission to see. The cloud also eliminates the fear of data falling into the wrong hands, because the data is not stored on their device. Moving to the cloud makes the system more accessible, helping to improve customer service and employee productivity. As discussed earlier, moving Great Plains to the cloud with SMB Suite also has the added benefit of automatically upgrading your business to the latest version of Dynamics GP. Running on the latest version of the software gives you access to the latest features and capabilities, plus it eliminates the need for application of security service packs and patches. Compared to traditional on-premise applications, cloud application are easier to upgrade. Unfortunately, many cloud providers can make upgrades problematic. This is because many providers force a mass upgrade on a rigid schedule, which may not be ideal for everyone. For example, your business could be forced to upgrade during the busiest time of the year. SMB Suite upgrades are less disruptive to business. New version upgrades are scheduled by working closely with the customer to determine the best time for the upgrade. In addition, SMB Suite provides the upgrade in a new instance with a backup copy of the company’s data. Customers can then test drive the new environment before going live. This allows for any customizations to be tested and gives extra time to learn new features. Once the tests are complete and the customer has signed off, everything is moved to new environment. Businesses are much happier with this design because they are able to control the upgrade schedule themselves. The final benefit of moving Great Plains to the SMB Suite cloud is perhaps the most overlooked: support. Many cloud providers make business application support optional and it is often outsourced. SMB Suite’s Business Success Desk believes critical application support is the key to success. Support for mission critical solutions such as Dynamics ERP are included in the basic subscription price. The support is provided by local Business Success Concierges, with unlimited cases, who are available 24 X 7. 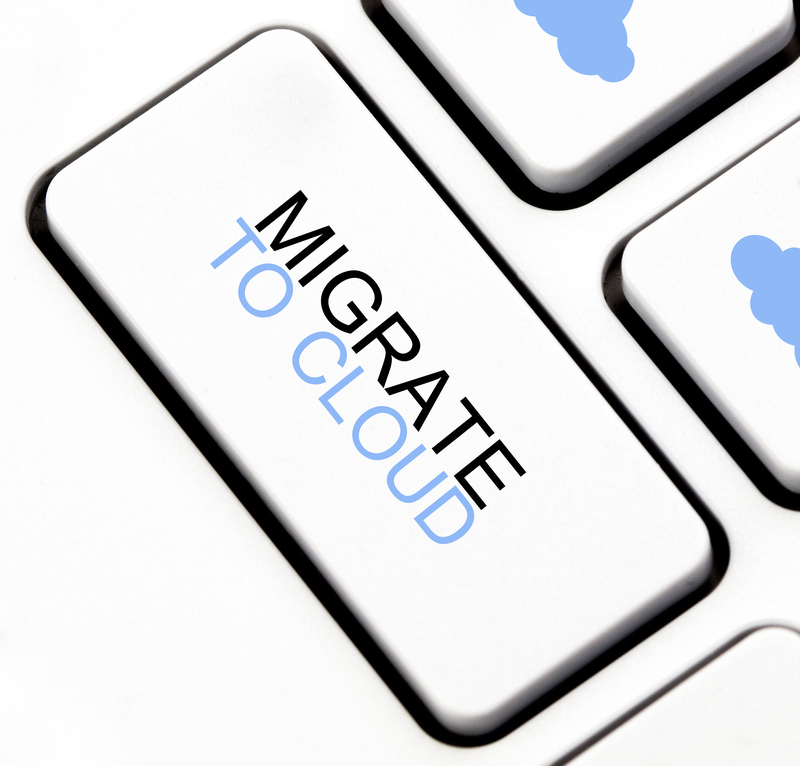 This concludes the three part series examining the benefits of moving from an on-premise Great Plains solution to cloud based Microsoft Dynamics GP. The benefits of the cloud are many -- including accessibility from anywhere, plus elimination of IT support and hardware costs. It’s even more affordable and predictable with subscription pricing. SMB Suite has the advantage of a fully integrated Microsoft solution with a single monthly subscription that includes all of the benefits of the cloud, plus the implementation, support, and upgrades. This is part two of a three part series where we consider the perspective of an existing customer on traditional Great Plains (Microsoft Dynamics GP) and the benefits of using Microsoft Dynamics GP with SMB Suite as an alternative to learning a new ERP system. You may be a business with an older version of Great Plains. Your business would like to go to the latest version of Microsoft Dynamics GP, but it’s currently not on the maintenance plan. Of course there is an option to upgrade, but your business is faced with heavy fines for being behind and fees for upgrade services. That’s not all -- your hardware may be outdated and in need of replacement. Your business might also be constantly patching and upgrading the operating system to protect from data compromise and viruses. If your business is like many others, it may be running on Windows XP, of which Microsoft is ending support for soon, leaving your business at risk. Traditionally, the fix for this problem requires a lot of upfront capital expenditure. Many consider this to be a dark cloud hanging over them; one they just can’t escape from. However, there is another cloud subscription worth considering: SMB Suite. The cloud is “the new way of doing business” and many businesses are finding that this is indeed the answer to their problems. Consider the advantages that SMB Suite brings to existing Great Plains customers. First, customers get to keep Great Plains, and are automatically upgraded to the latest version. SMB Suite brings business into the modern cloud world where businesses can forget about patching, updating, and performing daily backup of critical data. It’s all done securely at a cloud datacenter with 24/7 monitoring. Businesses no longer have to worry about buying or maintaining server equipment and the outdated operating system will be a thing of the past. In fact, SMB Suite customers are able to log into the latest version of Microsoft Dynamics GP with just a web browser. The new way of doing business in the cloud includes monthly subscription pricing. With subscription pricing, customers only pay one fee per month, making it is easier to plan and budget for. This fee includes all of the software licenses, including the database and operating system licenses; along with the Microsoft Dynamics GP upgrade licenses, upgrade services and cloud services. This is possible because the cloud only requires a subscription, not a full purchase of the licenses. SMB Suite offers a full 36 month subscription for the entire core offering of Microsoft Dynamics GP & CRM solutions, without any upfront fees. This innovative, single-fixed payment also includes unlimited support and all future upgrades and upgrade services. This eliminates the need for a large investment of capital upfront, since all fees are spread over 36 months. Most importantly, businesses don’t have to switch to an unfamiliar new system. SMB Suite customers are able to keep Great Plains and enjoy all of the benefits of a modern cloud solution. Another big benefit of the moving to SMB Suite is the ability to continue using Excel. A leading cloud provider of a non-Microsoft ERP would not only move your business off Great Plains, they would prefer to move your business off of Excel. Most businesses use Excel every day for business analysis. Dynamics GP allows for a seamless integration with Excel. In the latest version, most reports can be easily exported to Excel -- not just in a CSV or flat file, but in a fully formatted Excel worksheet. Because Excel is so popular for business, users are even able to produce a budget in Excel and bring it directly into Dynamics for budgeting. SMB Suite takes this a step further by including an Excel based reporting tool. This acts as add-in to Excel, giving Excel new capabilities, and is fully integrated into Microsoft Dynamics. This brings together the best of both worlds -- the new capabilities provide access into the Microsoft Dynamics database, where the user can create a report by simply dragging and dropping the fields into Excel. We’ll explore more about how this helps a business gain insight, plus more on how the cloud makes it possible to access your system from anywhere, and much more in the third and final part of this series. Leading ERP companies would like you to believe that they are the best cloud ERP option for your business. However, to take advantage of their cloud offering, you’ll have to make some tradeoffs - including giving up much of the Microsoft platform. SMB Suite has a better solution. Enjoy all of the benefits of a modern cloud solution with a proven Microsoft based platform, all for one low monthly subscription. In this three part series, we will take a look at the benefits of using SMB Suite solutions as an alternative to other cloud ERP offerings. We’ll examine the benefits of using a cloud based solution, discussing what to look for when reviewing Cloud ERP offering, and why SMB Suite offers the most value. A major advantage of the cloud offering of SMB Suite is that it is built on the proven Microsoft platform. Microsoft is widely used by professionals worldwide, as it is the most predominant business productivity application. Microsoft has made extensive on-going investments in the Microsoft platform, including Dynamics ERP, to add more robust functionality. At the same time, they have improved the user experience with streamlined and personalized menus, role based home pages, and tools to help businesses gain greater insight with easy-to-use reporting and advanced business intelligence. It is important to look for one publisher for all of the critical foundation components of a cloud solution, because this helps to ensure seamless integration. With SMB Suite, the database is Microsoft SQL Server, the productivity apps are Microsoft Office, the document storage is Microsoft SharePoint or Microsoft SQL Server based, reporting tools include Microsoft SQL Reporting Services as well as Excel, and the ERP and CRM solutions are built on Microsoft Dynamics. By design these solutions work together better than components assembled from different publishers. Compare the Microsoft platform with cloud ERP solutions that piecemeal together their solution with Google docs, BoxNet, and a database from another publisher. Another consideration to look for is fully integrated applications. This will greatly reduce the duplication of data and the risk of errors. SMB Suite features a fully integrated suite of products that will increase your productivity, reduce cost, and save time. As many traditionally deployed businesses know, the cost of implementation, integration, and on-going application maintenance of typical on-premise environments can be many times the cost of the software itself. However, with SMB Suite you’ll never have to worry about an approach that requires costly integration to get different applications to work together. Each application of the SMB Suite works together. Gone are the days of separate on-premise software packages—one for accounting, one for sales force management and automation, one for ecommerce, one for service management, and perhaps one for warehousing. SMB Suite has combined Microsoft Dynamics with solutions that add value, all designed to take advantage of the proven Microsoft platform. These fully integrated solutions include customer relationship management with sales automation, service and marketing solutions, ecommerce for both business to business and business to consumer transactions, human resource and payroll solutions, service management, job costing, distribution and warehousing, plus unique Excel based business intelligence. A great benefit of moving to the cloud is the elimination of on-premise IT costs. The cost of using on-premise software includes purchasing and maintaining of computer hardware, operating systems, software upgrades, service packs, virus protection, plus daily backup and recovery. Not to mention taking care of equipment breaks, password resets, and training employees. For most small to medium businesses, having an IT department is an expensive luxury. Yet without at least one IT person, there is a very real risk of costly viruses, loss of data, and downtime. Using a modern cloud based solution eliminates this concern. All of the purchasing and maintenance of the hardware and software is taken care of by SMB Suite. SMB Suite keeps your data secure by protecting your business from viruses, maintaining required service packs, and performing daily backups. Additionally, your business won’t be tying up funds in server hardware or paying for charges for additional hardware upgrades as your business grows. This greatly reduces risk, gives more bandwidth to IT for strategic projects, and allows your business more time to focus on what you do best to serve your customers. In part two we’ll explore how you can move to the cloud for one monthly subscription, how Microsoft Dynamics works seamlessly with Excel, and how to gain greater visibility into your company with business intelligence. When it's bring your K-9 to work day, the dogs come inside to play! The pups may not have given award winning service or signed any new customers, but they sure generated a surplus of laughter to be had by all! Meet the furry characters that stole the show today at our office. Take the SMB Suite challenge! Compare the cost of on-premise Microsoft GP vs. Cloud ERP and see why more companies are trimming their technology budget and lowering IT expense by moving their ERP to the Cloud. SMB Suite’s flexible pricing plans allow you to choose exactly what you need for a predictable and easy-to-budget monthly fee. No surprises. For a LIMITED TIME ONLY, Microsoft is providing a 60% discount on Dynamics 365 for Sales Enterprise licensing until June 29th! Dynamics 365 for Sales Enterprise licenses are regularly priced at $95 per user. The promotion available until the end of June is offering the discounted licensing at $38 per user license. Subscription is renewed at the standard rate after year one. Below are demo overviews of the Microsoft Dynamics 365 for Sales solution. Streamline your business processes and gain insights with embedded intelligence. Predict customer needs and provide the right solution at the right time. Identify and focus on leads who are most likely to turn into a sale. Gain insights, understand customer needs, and close deals more efficiently. Streamline seller onboarding with real-time suggestions and contextual help. If you are interested in learning more, we are happy to assist!